Queensland Shakespeare Ensemble continue their proud tradition of developing new work with The Blood Votes by Michael Futcher, an emotionally engaging work of historical theatre examining the conscription debates of 1916 and 1917, directed by QSE Artistic Director Rob Pensalfini. The final show will take place on Sunday, November 11, marking the Centenary of the First World War Armistice. Playing out in the atmospheric setting of the Holy Trinity Parish Hall in Fortitude Valley, The Blood Votes was created over the course of several years through a partnership between Queensland Shakespeare Ensemble and the University of Queensland Faculty of Humanities and Social Sciences and funding from the Queensland Government. 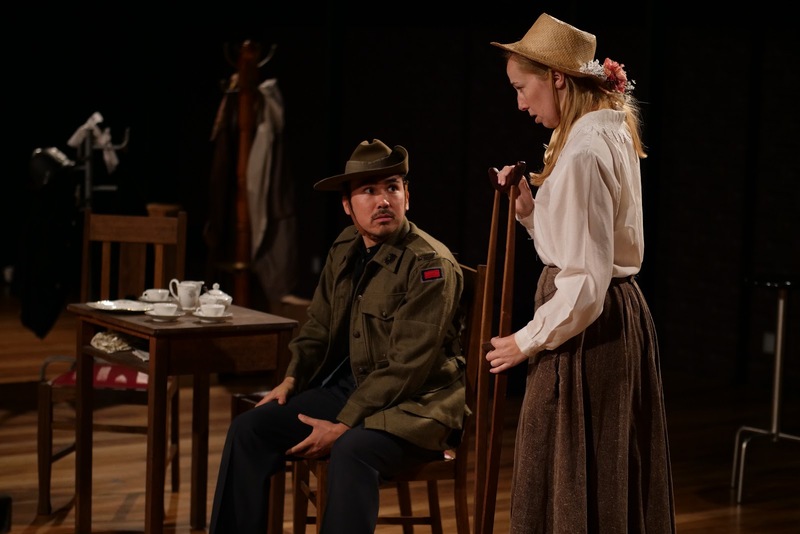 Transitions between scenes used propaganda songs set to recognisable Australian tunes, as well as utilising chanting and the monotonal statement of statistics and horrors faced by the men fighting on the front. These powerful and poetic interjections were accompanied, as was the rest of the show, by live piano music. Lilliana Macarone in The Blood Votes, photographed by Antony Dyer. In 1916 and 1917, the Australian public narrowly voted against conscription. The Blood Votesfocuses closely on life in Australia during the Great War and examines the self-righteous and patriotic political rhetoric used to apply social pressure, especially to young men who had not yet enlisted. The work unpacks the debates that were held on political stages, but also those happening in living rooms and kitchens and town halls across the country. It also brings to the fore not only the terrible loss of life but also the economic and social costs of war, including exorbitant food prices and rising unemployment. This work also tells the tale of women during the war – not only of wives and mothers waiting anxiously but passively at home but as activists, organisers, and objectors who fought their own battles on the home front. All cast members played multiple roles within the work, and the changes in costume and character were particularly impressive for those cast members playing multiple characters on different sides of the debate. The conviction of being right was equally strong on both sides; Prime Minister Billy Hughes (Matthew Filkins) preached with firm stoicism while Ernie Lane (Silvan Rus) was commanding and charismatic even as he spat and shouted his rebuttals. In direct contrast to the horrific headlines and political circus of the war and the conscription referendums, is a story of young love and the way that life goes on even in times of crisis. 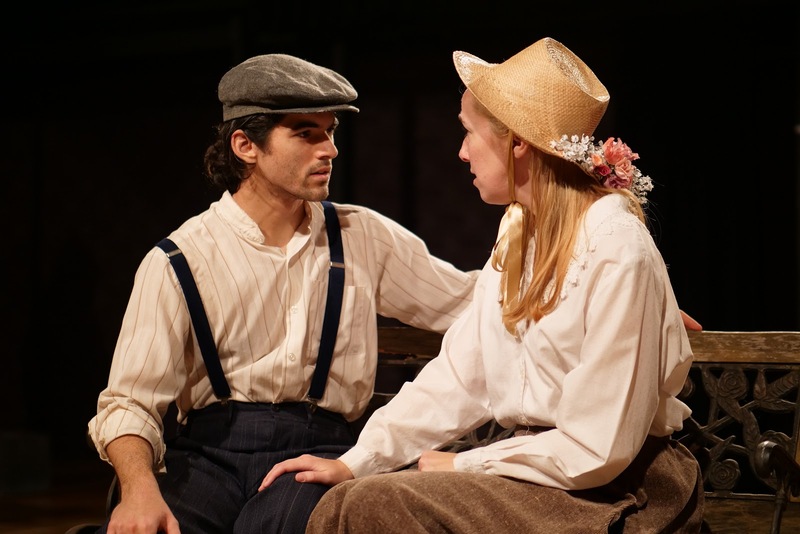 Dudley Powell and Ellen Hardisty in The Blood Votes in The Blood Votes, photographed by Antony Dyer. Ellen Hardisty was sweet and sensible as Ruby Crawley and had great chemistry with her sweetheart Robert O’Neil (Dudley Powell). Frances Marrington brings a lot of passion to the stage as Adela Pankhurst, among other roles, and Lilliana Macarone was genuinely dislikeable as the haughty and underhanded Mrs Patterson. 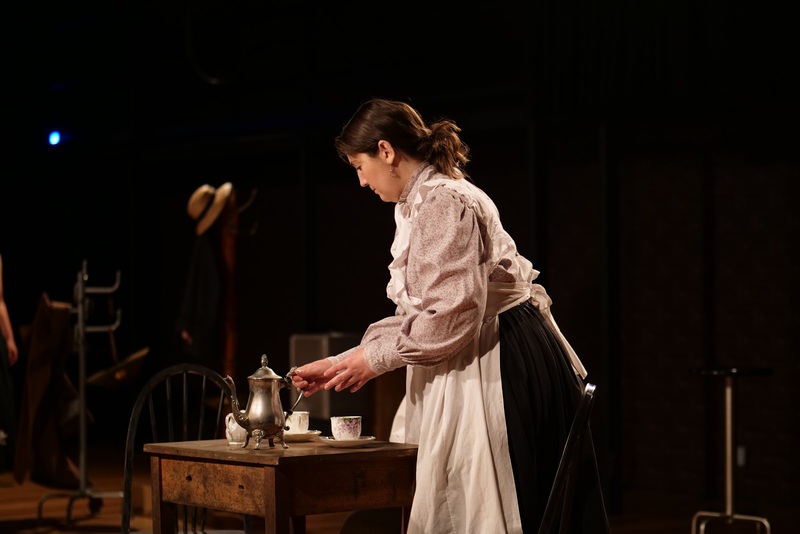 Paige Poulier demonstrated a wonderful thoughtfulness and depth of emotion in playing Margaret Thorp, and Rebecca Murphy had a commanding and distinct stage presence as both Kathleen O’Neill and Mrs Crawley. Despite a few dropped lines and minor costume malfunctions, The Blood Votes was delivered by a passionate and engaging cast and is obviously an extensively researched new piece of theatre, addressing not only the morality of wars and enforced participation in them but also the effectiveness and ethics of grassroots activism and the power of organised communities. More information and ticketing for The Blood Votes via Queensland Shakespeare Ensemble’s website.